There are 102 historically black colleges and universities (HBCUs) across the nation. In 1965, in Title III of the Higher Education Act of 1965, Congress officially defined an HBCU as an institution whose principal mission was and is the education of black Americans, was accredited and was established before 1964. While the 105 HBCUs represent just three percent of the nation's institutions of higher learning, they graduate nearly 20 percent of African Americans who earn undergraduate degrees. HBCUs, because of their unique sensibility to the special needs of young African American minds, remain the institutions that demonstrate the most effective ability to graduate African American students who are poised to be competitive in the corporate, research, academic, governmental and military arenas. WHAT IS THE BENEFIT OF LIBERAL ARTS EDUCATION? Liberal Education is an approach to learning that empowers individuals and prepares them to deal with complexity, diversity, and change. It provides students with broad knowledge of the wider world (e.g. science, culture, and society) as well as in-depth study in a specific area of interest. A liberal education helps students develop a sense of social responsibility, as well as strong and transferable intellectual and practical skills such as communication, analytical and problem-solving skills, and a demonstrated ability to apply knowledge and skills in real-world settings. Today, a liberal education usually includes a general education curriculum that provides broad learning in multiple disciplines and ways of knowing, along with more in-depth study in a major. DOES HARRIS-STOWE HAVE A ROLLING ADMISSIONS POLICY? Yes, HSSU does have a rolling admissions policy. This policy allows applicants to submit applications for admissions throughout the year, leading up to the desired entrance term. Under this policy, admissions decisions are made as an applicant completes his/her admission file. 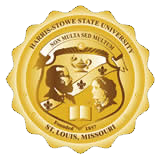 Harris-Stowe is fully accredited by the Higher Learning Commission. Attending a regionally accredited institution is important if you may want to transfer credits to another institution or if you want to attend a post-graduate program. DOES HARRIS-STOWE PREFER ACT OR SAT? AND DO YOU SUPERSCORE? Applicants can submit either the ACT or SAT score for consideration. Superscoring is the process by which colleges consider your highest section scores across all the dates you took the SAT or ACT. Rather than confining your scores to one particular date, these schools will take your highest section scores, forming the highest possible composite score. HSSU does not superscore, but rather considers your highest composite score. HSSU only accepts official scores, coming directly from ETS or the College Board or scores printed directly on an official high school transcript. The ACT code is 2302 and the SAT code is 6269. Students can complete a paper application by request or with an admissions counselor, online at www.hssu.edu or through the Common Black College Application at www.Commonblackcollegeapp.com . Students are only required to complete one application. HSSU accepts applications for admission year round. Priority deadlines are December 1 for Spring terms, May 1 for Summer terms and August 1 for Fall terms for US Citizens. International students must apply by November 1 for Spring, April 1 for Summer, and June 1 for Fall terms. WHAT TERMS CAN I APPLY FOR? Fall, Spring and Summer applications are accepted. HOW MANY TRANSFER COURSES WILL HSSU ACCEPT? While HSSU will accept any course in which a student has received a C grade or better, where there is an equivalent HSSU course offered, students are required to complete a minimum of 30 hours at HSSU in order to graduate. WHAT KIND OF COURSES WILL TRANSFER? Courses are evaluated on a course-by-course basis. Please contact the transfer admissions counselor for more information. HOW SOON WILL I KNOW WHETHER OR NOT I'VE BEEN ACCEPTED? Once a student has submitted all required documents to make an admissions decision, an admissions decision will be made. At that point, students should expect to receive communication within 7-10 business days. WHAT IS THE DIFFERENCE BETWEEN AN UNOFFICIAL, OFFICIAL OR FINAL TRANSCRIPT? An official transcript is one received via mail in a sealed envelope directly from a counselor or through a secure electronic service, such as Parchment, directly from a counselor. They must have a seal or counselor signature. An unofficial transcript is anything printed and/or submitted by a student. A final transcript is an official transcript submitted post-graduation with the graduation date on the transcript. WHAT IS THE CONTACT INFORMATION FOR THE ADMISSIONS OFFICE? WHAT IS A PLACEMENT TEST AND HOW DO I KNOW IF I NEED TO TAKE ONE? If the student has a score less than an 18 in the English and/or Reading (less than 470 on the ER+W on the SAT), and/or less than 22 in the Math subsections of the ACT (less than 550 on the SAT), they will be required to take the placement test. Students that have a subset score in the Math section between 18-21 will take the Intermediate Algebra paper test administered by the Academic Resource Center, in addition to the regular Math placement test if requested. Those students transferring to HSSU with less than 30 transferable credit hours are also required to take the placement test. If the student can provide their ACT/SAT scores that meet the admissions requirement or an official transcript where college-level English and/or College Algebra have been passed with a C or higher, they will not have to take the placement test. Students that have passed Intermediate Algebra with a C or higher will automatically be placed into College Algebra. The placement test is offered daily between 9:00 a.m. and 2:00 p.m. (unless otherwise stated.) Students who need to take the placement test must report to the Office of Admissions fifteen minutes prior to the test time. Anyone taking the placement test must bring a valid photo ID. Placement test appointments may be made on the school website at www.hssu.edu or by calling 314-340-3300. Remote testing is available for out-of-town and out-of-state students at http://accuplacerlive.onlineproctornow.com through the Academic Resource Center. Some technology capabilities may be required. Please contact Ms. Deborah Wright-Carter, Harris-Stowe State University Testing Coordinator at 314-340-3685 or e-mail WrightD@hssu.edu. WHEN ARE CAMPUS TOUR AND HOW CAN I SCHEDULE ONE? Campus tours are provided Monday-Friday at 10:00 a.m. or 2 p.m. and every first Saturday of the month at 10:00 a.m.( in the fall and Spring semesters)and can be set up on the school website www.hssu.edu, Office of Admissions page. Just click the Yellow button for Campus Tours to register. Tours are led by a student ambassador and typically last one hour and thirty minutes. Summer tours are Monday through Thursday at 10:00 a.m. or 2:00 p.m.
Students are required to participate in New Student Orientation. These orientation sessions will allow students to register for classes for the full year, take any necessary placement tests, secure on-campus housing arrangements, submit shot records, meet with Financial Assistance and take care of any other necessary business before Fall classes begin. Welcome Days is the official start to life at Harris-Stowe State University. Move in (and check in for non-residential students) will take place on August 21, 2019 at 8 a.m.
WHO DO I SEND MY SHOT RECORDS TO? ARE STUDENTS REQUIRED TO HAVE MEAL PLANS AND/OR LIVE ON CAMPUS? Freshmen that reside 50 miles or more away from campus are required to live in the campus residence halls and have meal plans. Students that do not live on campus are not required to have meal plans.